Sockii Support Center - How to change between weddings to plan? How to change between weddings to plan? 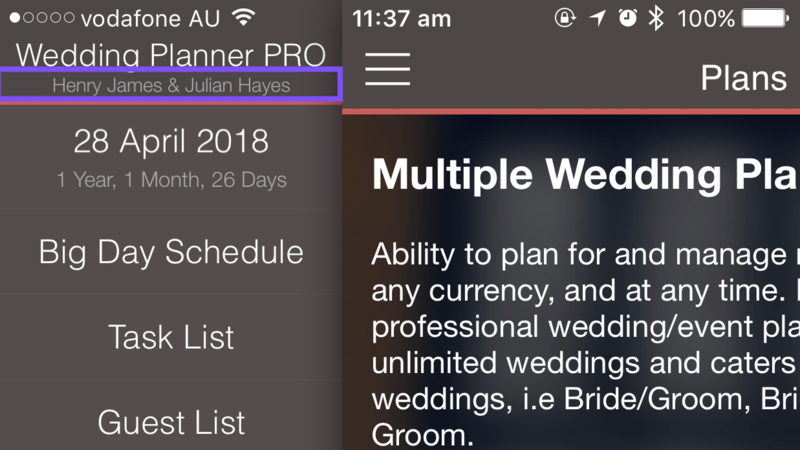 Go to the wedding calendar, and select the wedding you'd like to switch and plan for. Tap on the wedding and a popup will appear with options to 'Delete Wedding', 'Edit Details' and 'Select Wedding to Plan'. In the example below, choosing 'Select Wedding to Plan' will switch between Cindy Laure & Patricia Hayes wedding to Jenny Millers & Dave Rosevelt's wedding. Note: The currently selected wedding for planning will be indicated with a red header and blue tick (as shown above). In addition, the main planning view will display the name of the couple (refer to screenshot with purple box highlighted).